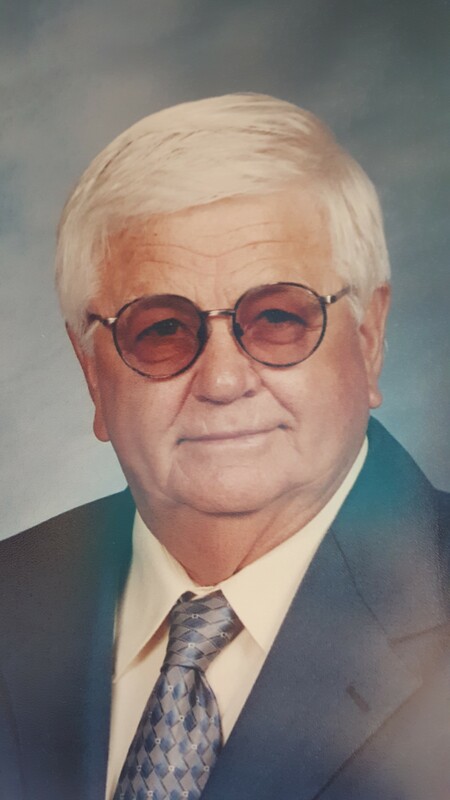 Funeral services will be 10:00 a.m., Friday, April 19th at Behrens-Wilson Funeral Home with Rev. Julie Norwood officiating. Interment will follow at Black Hills National Cemetery. 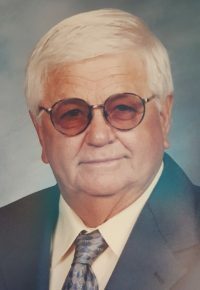 Dennis Leroy Nelson, 84, Rapid City, was born July 23, 1934, the first of seven children born to John and Ruth (Kucker) Nelson. He was born in Troy, SD and went to Waverly High School. He enlisted in the U.S. Army on the buddy system right after graduating with life-long friends Merle Miller and John Dagel, and his brother Russ. After basic training in Ft. Leonardwood, MO, Russ and Dennis went to Korea where they served their tour. When they returned home, Dennis met and married Donna Higgins. To that union three children were born. He then worked and retired from the South Dakota Cement Plant. He married Kay Graham on October 26, 1977 and lived the remainder of his life in Rapid City. He loved collecting tractors, working on tractors and looking at tractors. He loved his family very much as well as gardening and working in his garage. He loved ice cream and root beer floats. He left on his terms on April 10, 2019 after he enjoyed 4 different types of ice cream and a bottle of coke, he took his place beside the Lord. He was preceded in death by his parents John and Ruth, a great grandson Tanner, daughter Denise Lee, his wife Kay, two brothers Russ and Everett, sisters Ruthann Alexander and Joanne Gajewski and one sister-in-law Helen Nelson (Russ), and his beloved pug Forrest Gump. Surviving family members include brothers John (Diana) of Rapid City; Steve (Jill) of Spokane, WA; brother-in-law Jim Alexander, Glendale, AZ and sister-in-law Ilah Nelson of Rapid City; his sons Craig (JoDell) of Hermosa; Kevin (Stacy) of Rapid City and Kay’s son and granddaughter Ronald (Sandra) and Savannah Graham of Charleston, SC; his grandchildren April Vegas and Ryan Vegas of Denver, CO; Cassie Nelson of Edgemont and Shaynna Nelson of Hermosa; his great grandchild Brayden Nettifee of Edgemont and many nieces and nephews. A special thank you to Kathy Deschamp who was Dennis’s Home Nurse. Dennis requested in lieu of flowers to please donate to the Cardiac Services at Regional Health; Regional Health Foundation, % Dennis Nelson, PO Box 6000, Rapid City, SD 57709 or online at www.regionalhealth.com/donate. Please include contact information on any cards to be received by family that Thank You cards may be sent.